BCCIC > What's New > Opportunities > Join the BCCIC Network! The British Columbia Council for International Cooperation is a network made up of more than 100 organizational and individual members. Our membership is central to the work that we do, and shapes our activities and focuses. We seek to both support and learn from our members, utilizing the network to offering training and workshops, sharing news and events on social media and communications platforms, and advocating on policy together. BCCIC seeks to provide responsive capacity building, and keep the network on top of cutting edge news, research, and ideas. We’ve held webinars and workshops on topics like fundraising, monitoring and evaluation, and how to write a proposal for government funding. We’ve convened meetings with sustainable development leaders across the province and the country with our BC 2030 initiative and the new Alliance 2030 network. We’ve done research on implementing and measuring the Sustainable Development Goals, on policy best practices, and on how to utilize networks for social change. We’ve brought the ideas and energy of our network to advocate from the municipal, provincial, and federal levels, and all the way to the United Nations on a global level at the High-Level Political Forum and COP meetings on climate change. 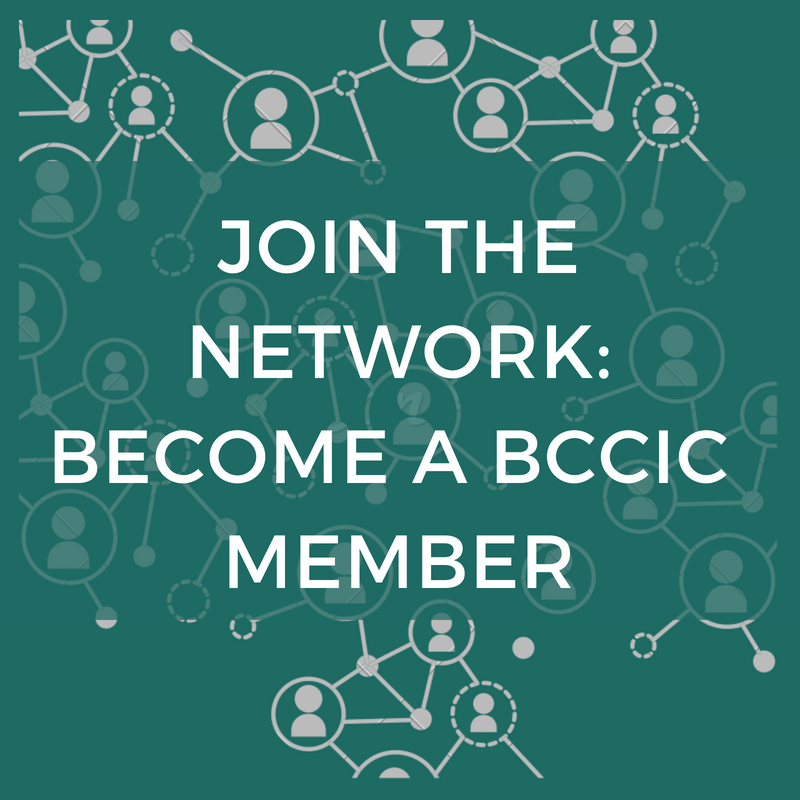 We invite you to join the BCCIC network, to connect with the work we are doing, and to bring your own energy to our collective work for global change. 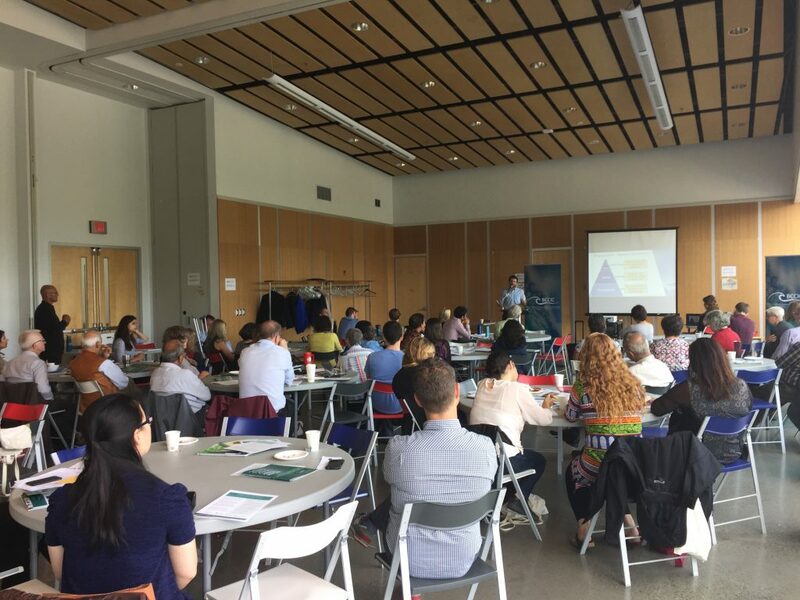 BCCIC Members meet at an annual conference to share ideas, learn what’s new in the sector, and connect with one another. Full Organizational Members of BCCIC are mostly small and medium-sized BC organizations that work on international development projects, or else national-sized organizations with a regional presence in BC. We have educational institutions, youth engagement organizations, justice-oriented groups, and project-based charities as members. These organizations must be a registered non-profit or else a BC-based research center or academic entity. BCCIC Chapters are also considered Organizational Members. Affiliate Organizational Members are a unique category of membership at BCCIC – we realized that in order to achieve the inter-sectoral mandate of the SDGs we should expand our membership to include other kinds of organizations, including private groups that focus on the SDGs in their mandate. This category of membership is also a good option for very small organizations and groups, such as chapters of global or national organizations, or international development organizations that are just starting out. We are looking to welcome locally-focussed BC organizations that address poverty, environmental issues, decent work and sustainable economy, peace and justice, and other topics that directly relate to the Sustainable Development Goals. Individual Members at BCCIC are made up of a diverse group of people – from students and professors who are studying and engaging with international issues, to globally-minded people that want to keep up with local sustainable development events and news, to international development professionals or aspiring professionals looking for tailored information and opportunities, we accept anyone looking to stay connected! Learn more about Membership criteria, benefits, and costs on our website. “Being a member of BCCIC has been a great benefit to SFU. Our membership gives us access to timely and relevant international development information and resources; provides us with important connections to, and opportunities to collaborate with, others working in the sector; allows us to be part of elevating the reputation and work of international development actors in British Columbia. In addition, we have partnered with BCCIC on various events and we always value the connections, expertise and perspective that they bring. “One of the best benefits of being a member of BCCIC has been receiving information on many social development, gender equality and related initiatives has been a benefit to those of us at HUGGS (Board, manager, volunteers). Networking opportunities at the AGM and other events have also been useful to catch a glimpse into the wide range of work BCCIC does in Canada and abroad. We appreciate the global awareness that comes from being part of the BCCIC umbrella organization of NGO’s. We also appreciate BCCIC’s continued reference to and pursuance of the UN’s Sustainable Development Goals, into which our area of work falls– ie. Gender Equality and Quality Education. The International Leadership Award granted by BCCIC to HUGGS coordinator in India has helped us to raise the profile of HUGGS’ work in India to our primarily Canadian donor base. The engagement tour planned for September 2018 for HUGGS’ coordinator will allow this individual ‘from the field’ to bring back to HUGGS staff and students in India, information and firsthand knowledge of the work and support provided by BCCIC. The various workshops and other events organized and/or promoted by BCCIC are well attended by member organizations. We hope that the BCCIC network will help to provide us with future volunteers and even, potentially, future Board members. HUGGS is centred on the provision of Education so it is valuable for us to be part of a multi-disciplinary group of agencies which mutually enhances one another’s work. “The biggest benefit of being a BCCIC member has been the information and advice that BCCIC has provided regarded the changing policies and funding opportunities of the federal government. We are mid-way through a four-year Global Affairs-supported project – it is the largest contribution we have ever received from any source. As we prepared the proposal, we worked closely with BCCIC staff to figure out the very complex requirements. I don’t think we would have been successful without information and advice from BCCIC. Our partner organization was fortunate to receive the BCCIC International Award of Leadership a few years ago. BCCIC provided funding for a representative of the organization to travel from Nepal to BC, visit schools and communities throughout southern BC, and attend the BCCIC AGM. The BCCIC network works together effectively- I find there are a lot of intangible benefits to being a member of BCCIC. I sometimes feel isolated because we do not have a lot regular contact with other organizations working in international development, and because we are a small organization based in the interior we often feel out of the loop regarding news and information regarding international development. BCCIC helps to fill that gap by providing opportunities to connect with other organizations, and generally be “in the loop”.